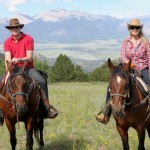 Elk Mountain Ranch is the perfect vacation for families with children of all ages. 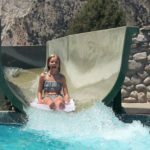 There are few places you can take the entire family that provide adventure and entertainment for kids anywhere from 3 to 18 years old. Having spent 3 summers at the ranch as a kid, I can confidently say that EMR’s children’s program is one of the best around. Some of my favorite childhood memories were made on the swing set at Elk Mountain and on the trail. 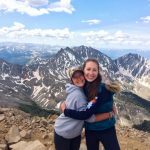 While I could write pages about all the things your kids will do in the children’s program, I’m going to focus instead on what you don’t see on the itinerary for the children’s program. Here are just a few of the things you and your kids will love the most about EMR’s children’s program. While EMR is all about families spending time together, we also understand that mom and dad need some time to unwind without the kids around. Your kids will never be far from you at the ranch, but they’ll be busy feeding the goats in the petting zoo or practicing their rodeo skills while you’re taking some much needed R and R on the porch. You’ll also be free to chat with other adults on the trail rides, as the kids in the children’s program are bussed to meet the group for activities like the hot dog lunch and fat bat ball. With two kids’ counselors on hand at all times, your children will get plenty of one-on-one time with them. EMR’s counselors are there to make sure your kids stay safe and have an unforgettable week. They’ll take your kids to the hot springs, which parents are welcome to visit as well, and will lead them on nature hikes and other excursions. One of my favorite memories from my time in the children’s program was when my counselor painted flowers onto my nails. There was a group of us sitting in the main lodge watching a movie and getting our nails painted, and to this day I remember how special I felt having a counselor take the time to do that for me. The children’s program gets to go on a variety of unique trips. A crowd favorite is the trip to the local hot springs, where kids spend the afternoon splashing around in the pool. The van to the hot dog lunch is another exciting trip, because your kids will have a chance to see a real beaver pond. If you visit the ranch over the 4th of July, you will enjoy a grand carnival celebration and the kids can enjoy the 4th of July parade. 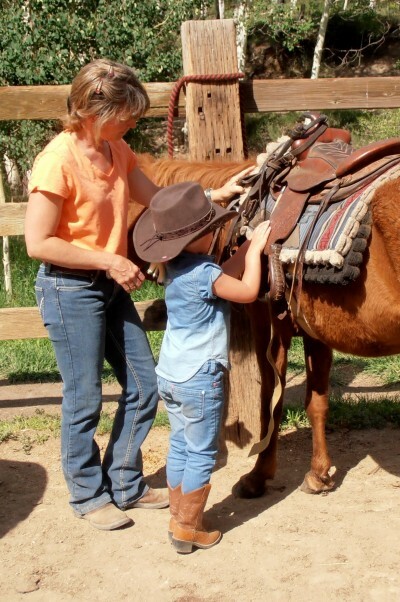 When your kids aren’t off the ranch for exciting trips, they’ll spend much of their time doing crafts, visiting the petting zoo, and learning how to ride a horse. I guarantee they’ll be absolutely exhausted at the end of each day! I cannot stress enough how impactful the children’s program at EMR was on my life. I met one of my very best friends my first year at the ranch, and after visiting the ranch as kids we both worked at EMR during college and had our days off together. 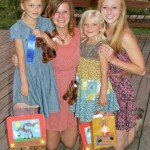 Your kids will have the chance to meet children from all over the country (and the world!) while at EMR and I have no doubt they’ll want to keep in touch after the week is over. The Sunday you leave the ranch will be filled with tears and promises to keep in touch with one another. Your kids will be crying, the counselors will be crying, and I bet you’ll be hard pressed not to shed a tear or two yourself. Throughout the week, your kids will become close with everyone in the children’s program and it’ll be tough for them to say goodbye. If you’re unsure whether the children’s program is the right fit for your child, send Tom and Sue an email or phone with any questions you might have. Having worked at the ranch myself, I know how much the children’s counselors enjoy their jobs and how hard they work to make sure each child in the program has an amazing week. I truly believe that any child will love EMR’s children’s program and that they’ll leave with memories they couldn’t have made anywhere else.